All good things must come to an end, and we may be at the finale of the 2017-18 winter season. This past week only a single snowy owl checked in, and it’s been anywhere from eight to 10 days since we’ve heard from any of the others of this winter’s crew. 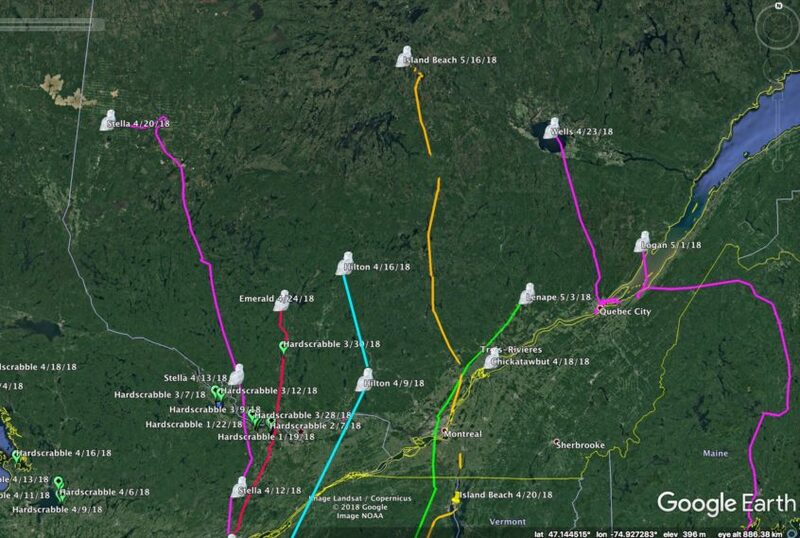 The one communicative bird was Island Beach, one of the New Jersey boys, who on May 16 was 1,014 km (630 miles) north of his tagging location in southcentral Quebec close to — well, nowhere in particular. He was deep in boreal forest on the border between Domaine-du-Roy and Eeyou Istchee James Bay Territory; the closest landmark is the one-time mining town of Chapais, QC, about 55 km (34 miles) to the northwest. His location isn’t far from Rt. 167, though, which is critical to our story because there are a handful of cell towers along Rt. 167 in that area, allowing Island Beach to check in. 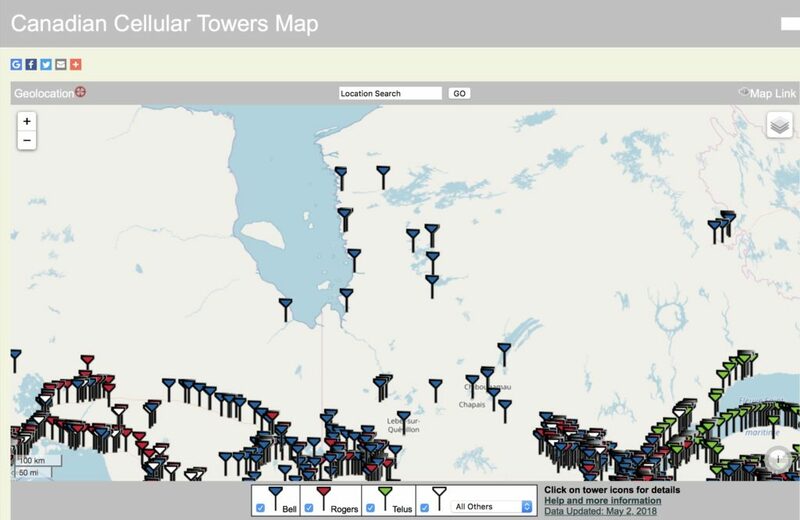 …there’s not a lot north of there, except for a few towers at small towns along the eastern shore of James Bay. Last spring, Hardscrabble happened to hit one of those communities just right, coming within cell range on evenings when his transmitter was scheduled to check in. Whether we get similarly lucky with any of this year’s owls is an open question, but given the scarcity of cell towers it’s always a bit of a long shot. So assuming this is the end, we’re looking back at our busiest season since we started SNOWstorm in 2013. We tagged 22 new owls and tracked five returning owls from previous seasons, a new record, and reached a remarkable milestone with our 70th tagged snowy owl. We also set a somber new record, with five confirmed and one presumed mortality. We lost three owls (Higbee, Hereford and Arlington) to vehicle collisions. York was electrocuted on a badly designed power pole. 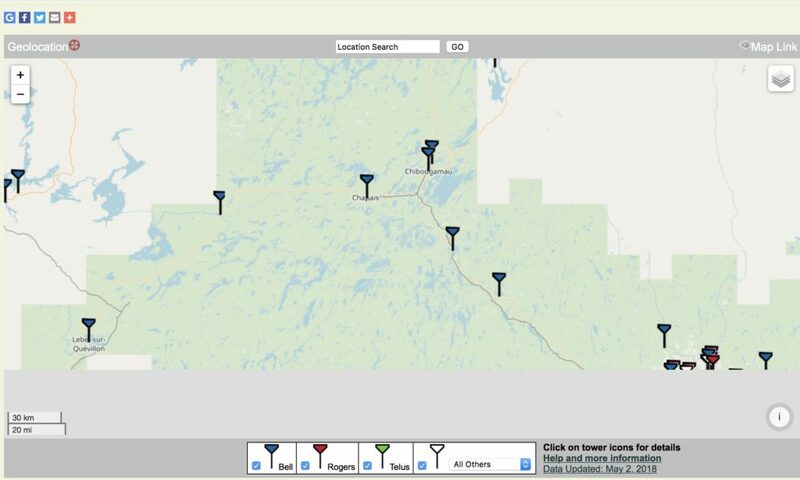 Gichigami’s telemetry data strongly suggests she died on the ice on Lake Superior at the end of February, though we have no idea of the cause and obviously were unable to recover her. Finally, Manisses was found dead on Block Island and we’re awaiting necropsy results for her; we’ll have a wrap-up of all the pathology work from our very busy veterinary team this season, which handled dozens of snowy owls in our continuing effort to learn more about the health and environmental threats facing this species. The situation on Block Island has been especially interesting, and we’ll have more on that with that report. Difficult as those losses are, they provide important information about the dangers facing this species. Thank you all for a terrific season — for your financial support (without which none of this would be possible) but especially for your enthusiasm, interest, comments, photos and emails, all of which make this such a productive collaboration. If there’s more news on any of our owls, we’ll be back in touch — and in the meantime, there’s this summer’s Arctic field work to look forward to. More on that in a couple of months! There are at least 2 Snowy Owls still present in NW OH as I write this (5/25/18) and many more reports from the rest of the country from April and early May. People assume the lateness is somehow related to food, as is most behavior with birds. I’ve not kept up with your blog this spring (too much birding to do). Do you have any thoughts on why so many lingering Snowy Owls this year? Thanks. Thanks for all the reports — there are still a fair number of snowies in some of the northern locations that tend to hold large numbers through the winter, like the Great Lakes coast. Amherst Island in Lake Ontario, for instance, still has a few. It probably has less to do with food than with age. The vast majority of the owls that made up this winter’s irruption were juveniles, and they have zero responsibilities up in the Arctic, as they are several years away from being old enough to mate and nest. Anytime you have hundreds to thousands of individuals (as with this winter’s irruption) there is always going to be some percentage that migrate exceptionally early, and some that migrate exceptionally late. Some of those late-lingering owls may have health issues, though I wouldn’t want to assume that’s always the case. Variation is nature’s way of throwing a lot of spaghetti at the wall and seeing what sticks, evolutionarily speaking. As conditions change, that variation within a population gives a species flexibility, over time, to change and adjust. A snowy was here in northern VT on May 17,2018 and a few days later. Regarding snowies in New Jersey. Back in February of 2017, I’m certain I saw a snowy in the top of a very tall oak tree behind my house, here in South Jersey about 8 miles from McGuire AFB. My property is fully wooded and I couldn’t’ figure out what I saw because snowies weren’t supposed to be here. Boy, were they wrong! I found you by searching for snowy owls in my search engine, made a contribution, got a sticker and have been enthralled ever since. I was really excited to read about Island Beach and the other NJ snowies in the Atlantic City press last December. I have been bragging about Project Snow Storm ever since. I suggest it’s time for another sticker contribution campaign! I hope I’m making these comments in the right place. Thanks for your time.